The United States is in the midst of an unprecedented energy boom that is largely the result of new hydraulic fracturing, or fracking, and directional drilling technologies. As a result, oil and gas fields that were previously considered to be totally exhausted are yielding huge deposits of new oil and gas. Natural gas pads along the White River, a tributary of the Green River. While many are profiting from this dirty energy bonanza, use of this technology comes at a steep price. Toxic pollution to our nation’s aquifers and groundwater is a routine reality with several major pollution events dumping carcinogens onto public lands and into the water supply of the Colorado River. The fracking process of injecting mixtures of water, sand and chemicals at very high pressure deep underground requires huge volumes of water—typically between 4-6 million gallons per well—and often mixes with groundwater deposits. In Utah alone, there are 4,900 producing oil wells and 7,200 natural gas wells with thousands more planned and approved, primarily on public lands. 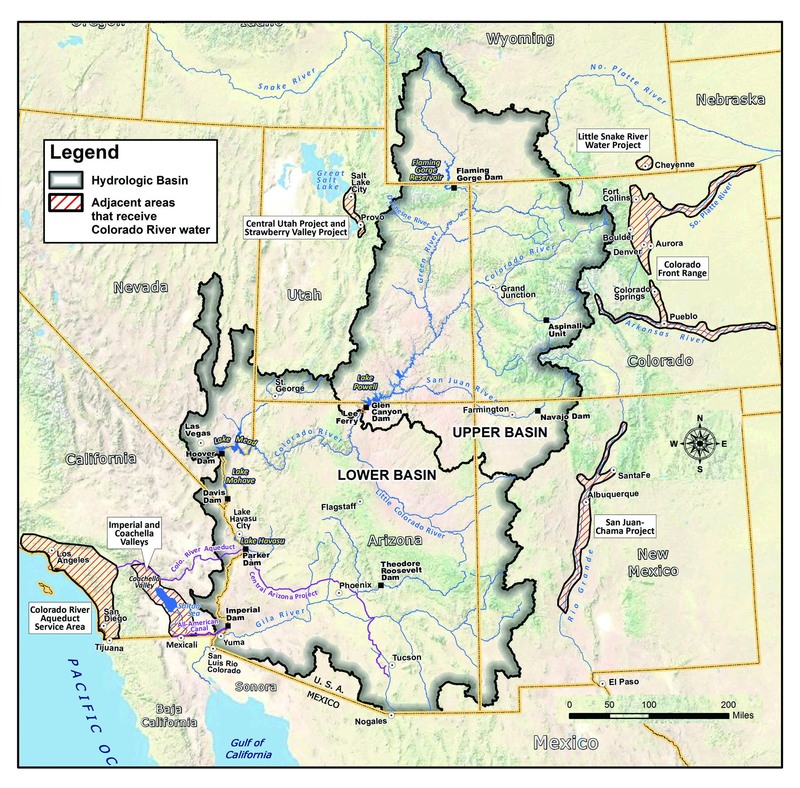 As a large portion of this development is occurring in Colorado, Wyoming and Utah, Colorado River Connected is concerned this expansion of dirty energy on public lands will result in a more polluted Colorado River and ultimately, a significant reduction in the water available to the millions of downstream residents in Nevada, Arizona, New Mexico and California who depend on it for survival. The Monument Butte Newfield oil and gas project with as many as 5,750 new wells approved for development immediately west of the Green River. The Avintaquin Canyon oil and gas project, 640 wells proposed on 34,000 acres on Avintaquin Creek (tributary of Strawberry River) and directly in the watershed of Strawberry Reservoir and the source of drinking water for millions of Utahns. The Gasco project has been approved to add 1,300 wells—215 in proposed Desolation Canyon wilderness area. The Paradox Basin is a large oil play recently found to be substantial that runs from north and east of Moab in Grand County to the south into San Juan County. There are currently about 15 operating wells permitted by the BLM Moab field office, run by Fidelity Oil, some very close to Canyonlands National Park and Dead Horse Point State Park. Fidelity recently constructed a 24 mile 12” pipeline to capture methane off of some of their wells. The Moab BLM Field Office has recently announced another EA for multiple feeder lines from existing and new wells (some within the proposed national monument) that will greatly enlarge the scope of the entire project. A summary of existing oil and gas wells in Utah can be found here.